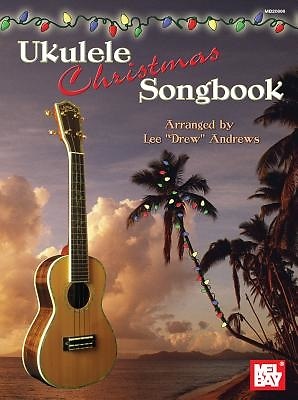 Featuring 28 well-known Christmas songs arranged for ukulele with chord symbols for an accompaniment instrument. Book contains chord diagrams for ukulele and guitar as well as common strum patterns to use for rhythm backup. All songs are arranged in standard notation and tablature for ukulele. This book may be used along with Mel Bays Mandolin Christmas Songbook (MB21013) and Mel Bays Dobro Christmas Songbook (MB21508). All songs, except Away in a Manger are in the same key and can be played together. Most songs in Mel Bays Tenor Banjo Christmas Songbook (MB21014) are also in the same key and can be used together.